… and do so NOW! I can’t tell you this often enough. I know I am repeating myself here, but there are so many new readers and there is a very good chance that they don’t know this yet. Interviewed by King World News, market analyst and scholar Jim Rickards of Omnis Inc. says he knows of a gold investor who recently had to struggle for a month with a Swiss bank to arrange return of his gold — not a futures contract receipt but real gold that had been put on deposit at the bank. Only the gold owner’s threat to restore to legal action and the news media pried the gold loose, Rickards says. He concludes that the bank didn’t have the gold it should have had and that this shorting is endemic to the Western banking system. He advises gold investors to use “private non-bank storage” for their gold to get it outside the banking system and expects that at some point governments may seek to freeze gold in the banking system. 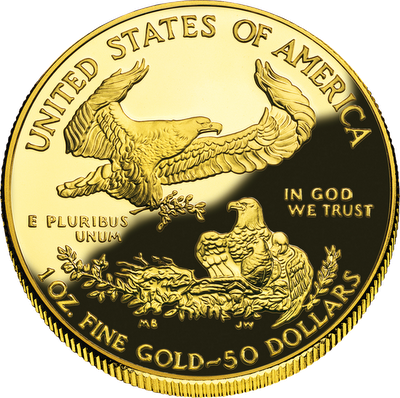 Rickards argues that the United States will return to some sort of gold standard in a deliberate and studied way or will be forced to return to gold with chaotic and disruptive suddenness. A non-deflationary gold price then likely will be in the many thousands of dollars per ounce, Rickards says. Rickards also rates Federal Reserve Chairman Ben Bernanke a bigger threat to national security than the terrorist Osama bin Laden, insofar as bin Laden is on the run while Bernanke still stands at the pinnacle of power. Mr. James G. Rickards is Senior Managing Director for Market Intelligence at Omnis, an applied research organization. He is also co-head of the firm’s practice in Threat Finance & Market Intelligence and a member of the Board of Directors. Mr. Rickards is a senior counselor, investment banker and risk manager with extensive experience in capital markets including portfolio and risk management, product structure, financing and operations. Prior to Omnis, Mr. Rickards held senior executive positions at “sell side” firms (Citibank and RBS Greenwich Capital Markets) and “buy side” firms (Long-Term Capital Management and Caxton Associates). Mr. Rickards has been a direct participant in many significant financial events including the 1981 release of U.S. hostages in Iran, the 1987 Stock Market Crash, the 1990 collapse of Drexel and the LTCM financial crisis of 1998 in which he was the principal negotiator of the government-sponsored rescue. He has been involved in the formation and successful launch of several hedge funds and fund-of-funds. His advisory clients have included private investment funds, investment banks and government directorates. Since 2001, Mr. Rickards has applied his financial expertise to a variety of tasks for the benefit of the national security community. Mr. Rickards holds an LL.M. (Taxation) from the New York University School of Law; a J.D. from the University of Pennsylvania Law School; an M.A. in international economics from the JHU /SAIS, and a B.A. degree with honors from The Johns Hopkins University.